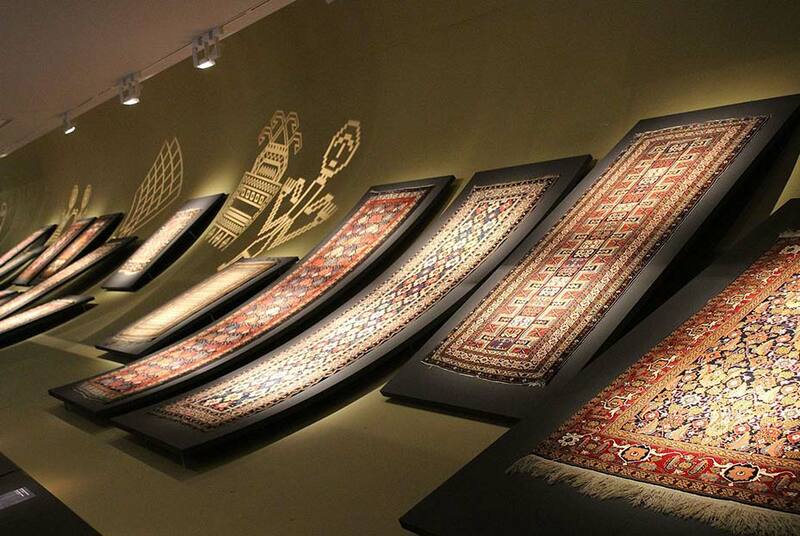 The Azerbaijani carpets are renowned all over the world for their extraordinary richness and precious motives. Carpets are an ancient tradition of Azerbaijan and their meaning extends well over the simple artefact or the trading item. Carpets are definitely a part of the culture in the Caspian Region. The Azerbaijani government has proved to be very interested in preserving the tradition and has encouraged manufacturing with the opening of several new facilities nationwide. They are so serious about the tradition of producing carpets that the Ministry of Economics has brought the subject to discussion within the country’s state budget attention. Carpet weaving could be considered as the most ancient form of art and economy of Azerbaijan. Many Archaeological research in the area has shown proof of this art in very remote times. Azerbaijani carpets usually feature a recurring set of ornaments like representation of plants, zoomorphic, anthropomorphic and abstract geometric forms. Its distinct color palette and design allows to recognize an Azerbaijani carpet on the spot. Its patterns differ according on the area in which and the carpet has been woven. Cherry red, yellow-green and sky blue are the distinctive colours the Azerbaijani carpets. 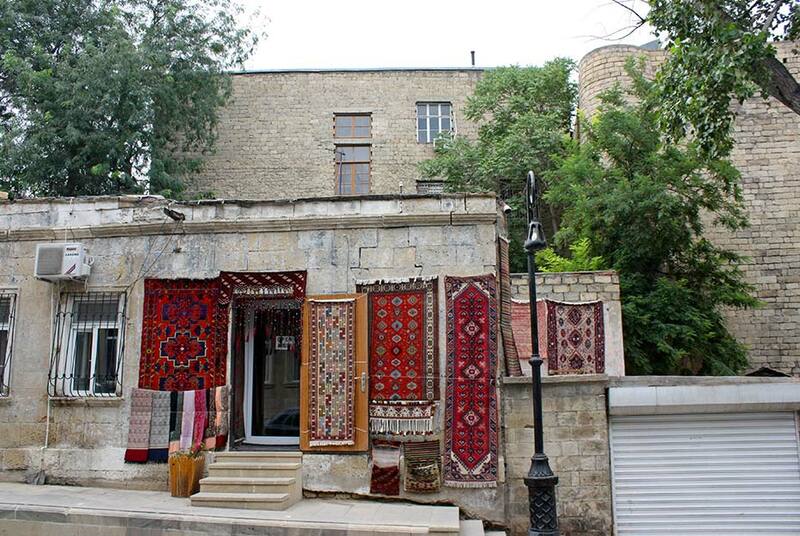 There is also a very fine institution dedicated to the art of carpet weaving in Azerbaijan: the Azerbaijan Carpet Museum. It displays the largest collection of Azerbaijani carpets in the world and has become a research-training and cultural-educational center where many exhibitions, conferences and events are constantly held. During its 50 years of existence, the museum has organized several exhibitions around the world. 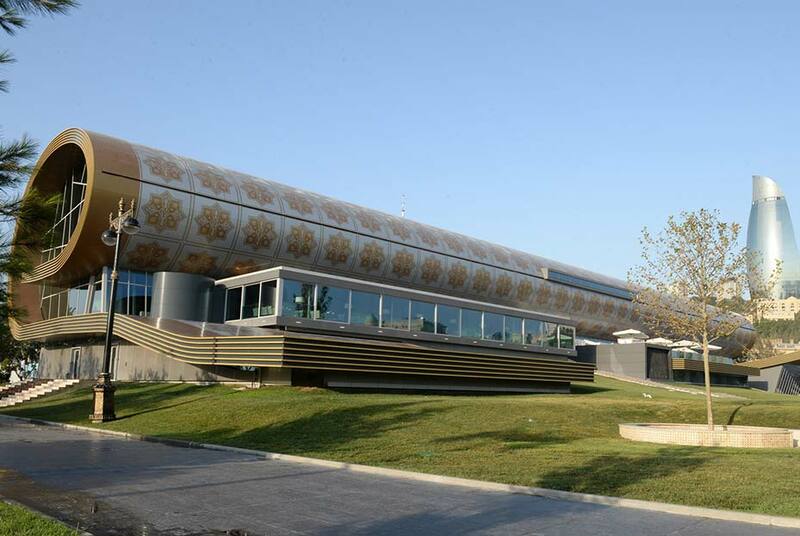 The Museum is named after Latif Karimov, one of the greatest carpet designers of Azerbaijan. Unesco had special words for the Azerbaijani carpets: “Azerbaijani carpet weaving, occupies a special place in the history of its national culture. The most widespread folk art is carpet weaving. It made its way into the everyday life of the people of Azerbaijan and turned into a symbol for the nation. Because of their high aesthetic value, fleecy and pileless carpets, decorated with various patterns and signs, are used to decorate the walls and floors of marquees, huts, homes, nomads’ tents, and other buildings”. As from the manufacturing techniques Azerbaijani carpets can be divided into fleecy carpets and carpets without pile. The weaving of the carpets without pile is extremely ancient and can be dated Back to the most archaic period of weaving. Carpet making has been around from at least the 2nd millennium BC but recent discoveries brought forth carpet weaving tools which date back to the 4th-3rd millennium BC. 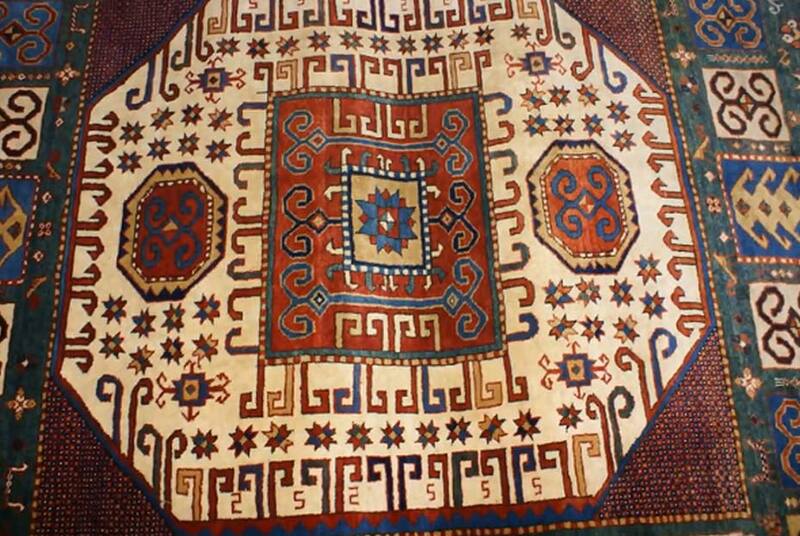 For many centuries during the historical existence of Azerbaijan both settled and nomadic ways of life were of importance and therefore the special use of carpet in everyday life. Thanks to the many efforts in place we have good reason to believe that the art of carpet weaving in Azerbaijan is here to stay for long time to come, as a sign of a tradition that, together with the dawn of man, will always be alive to please and amaze us all.